Seong-Jin Cho was born in Seoul, Korea and at the tender age of six he started learning the piano, giving his first public recital at age 11. 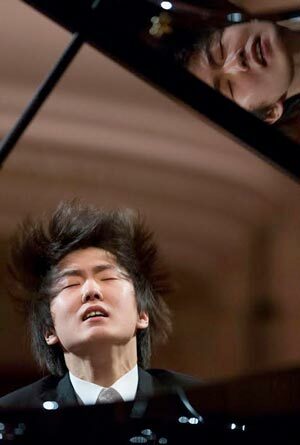 In 2009, he became the youngest-ever winner of Japan’s Hamamatsu International Piano Competition. In 2011, he won third prize at the Tchaikovsky Competition in Moscow at the age of 17. In 2012, he moved to Paris to study with Michel Béroff at the Paris Conservatoire National Supérieur de Musique where he graduated in 2015. Cho’s performance in the final of the 2015 Chopin competition stood out for a “velvet brawn and a big, smooth sound” and “a long, thick stream of unrelenting beauty.”. He has collaborated with conductors at the highest level such as: Valery Gergiev, Esa-Pekka Salonen, Vladimir Ashkenazy, Yuri Temirkanov, Krzysztof Urbanski, Fabien Gabel, Vassily Petrenko, Jakub Hrusa, Leonard Slatkin or Mikhail Pletnev. An active recitalist, he performs in many of the world’s most prestigious concert halls. In the 2018/19 season, he will return to the main stage of Carnegie Hall as part of the Keyboard Virtuoso series where he had sold out in 2017. He will also return to Amsterdam’s Concertgebouw in the Master Pianists series and will play recitals at the Berlin Philharmonie Kammermusiksaal (Berliner Philharmonic concert series), Frankfurt’s Alte Oper, Los Angeles’ Walt Disney Hall (Los Angeles Philharmonic recital series), Zurich’s Tonhalle-Maag, Stockholm’s Konserthuset, Munich’s Prinzregententheater, Chicago’s Mandel Hall, Lyon’s Auditorium, La Roque d’Anthéron Festival, Verbier Festival, Gstaad Menuhin Festival, Rheingau Festival among several other venues. Cho is releasing an album titled, Mozart: Piano Concerto No. 20, K. 466; Piano Sonatas, K. 281 & 332 on Deutsche Grammophon records. Yannick Nézet-Séguin and the Chamber Orchestra of Europe support Cho in the D minor concerto. 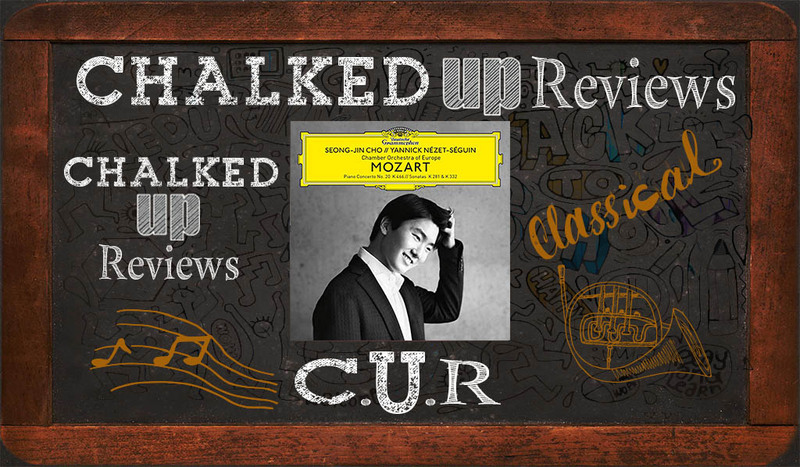 Avid Mozart fans will enjoy the balance of Cho’s aggressive approach and his tenderness too, also Cho seems to be very aware of the historical ideocracies of the piece and performs as such. The second part of the program offers the Mozart Sonatas K. 281 & 332. Cho’s playing is wonderful, his sense of phrasing and rhythmic pulse is a welcome touch to the repertoire. Especially K. 332. The tempo is exciting and the playing with the form adds interest. Our favorite track is “Sonata No. 12 in F Major, K. 332 – 2. Adagio.” Cho’s playing is lyrical, and his use of dynamics is meaningful. His touch is tastefully balanced. The breaths make musical sense and his counterpoint is clear and decisive. The tempo is perfect, any faster and the delicate ornaments and feelings that Cho creates would be lost in translation. Though this particular track does not show Cho’s impeccable technical abilities to handle intricate and challenging passages, as he demonstrates in “Sonata No. 12 in F Major, K. 332 – 3. Allegro assai.” With the adagio, Cho’s personality and musical understanding seems to come through with musical joy and understanding. Of course, the recording quality is outstanding, as the case with all Deutsche Grammophon projects. Mozart: Piano Concerto No. 20, K. 466; Piano Sonatas, K. 281 & 332 is a wonderful documentation of Cho successfully delivering a performance that captures the spirit of Mozart. The playfulness and exuberant spirit all come through the music via Cho’s supreme technical and musical prowess. The pianist is certainly challenging himself with such a project as the Mozart Sonatas, in that, the bar is high with historical performances and recordings. Cho does not disappoint. 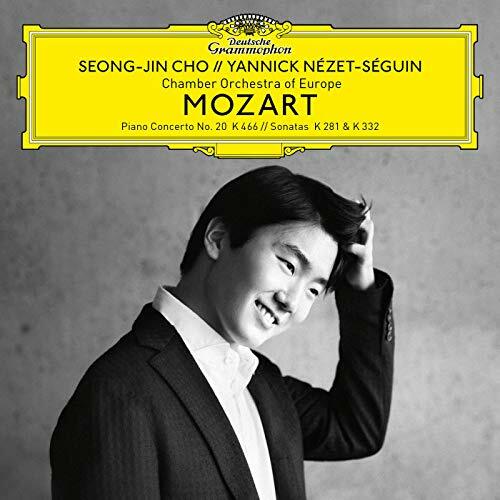 Mozart is always enjoyable and Cho brings the perfect enthusiasm to each piece to make this recording something special.